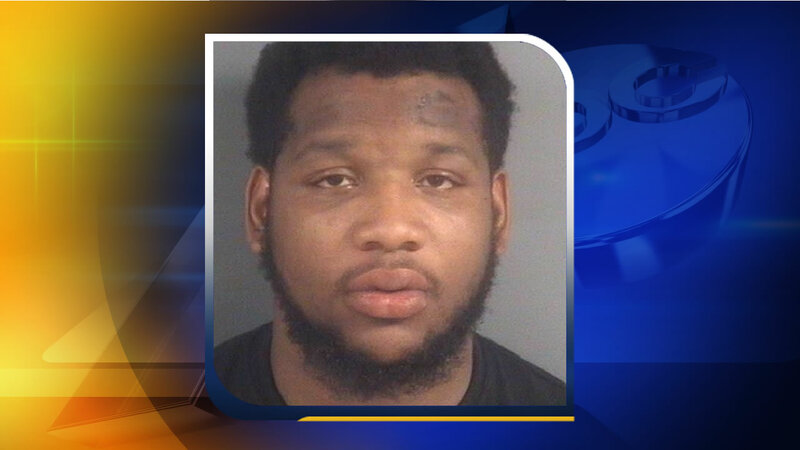 FAYETTEVILLE (WTVD) -- Fayetteville police have charged 23-year-old Demario Deshawn Eastmon with first-degree murder and assault with a deadly weapon in connection with a fatal shooting in the 6000 block of Wagon Wheel Court last weekend. The shots were reportedly fired from outside the home around 1:15 a.m. Sunday after an argument broke out. Officials said three people were shot. Leandre Jamarcus Laguerre, 25, was killed. The two other victims were identified as Clevaun Fratonne Breece, 21, and Kenneth Michael Burch, 24. Eastmon has been processed at the Cumberland County Detention Center where he remains without bond. Anyone with information regarding the homicide investigation is asked to contact Detective M. Taylor with the Fayetteville Police Department at (910) 303-9751 or Crimestoppers at (910) 483-TIPS (8477).